A former Minister of Aviation, Chief Femi Fani-Kayode, has expressed his readiness to honour the invitation extended to him by the police at the Force Headquarters, Abuja. This he explained, was regardless of the fact that he had approached the Abuja division of the Federal High Court to stop the police from inflicting on him any form of unlawful arrest and detention. According to him, he was prevailed upon by his counsel, Dr. Ajulo to honour the invitation on Tuesday, ‎by 12 noon. ‘Nevertheless, as our firm’s practice and our client’s position is, being a nationalist, patriotic and responsible Nigerian, we hereby confirm that our client will honour your invitation as scheduled for September 4, 2018 by 12 noon. 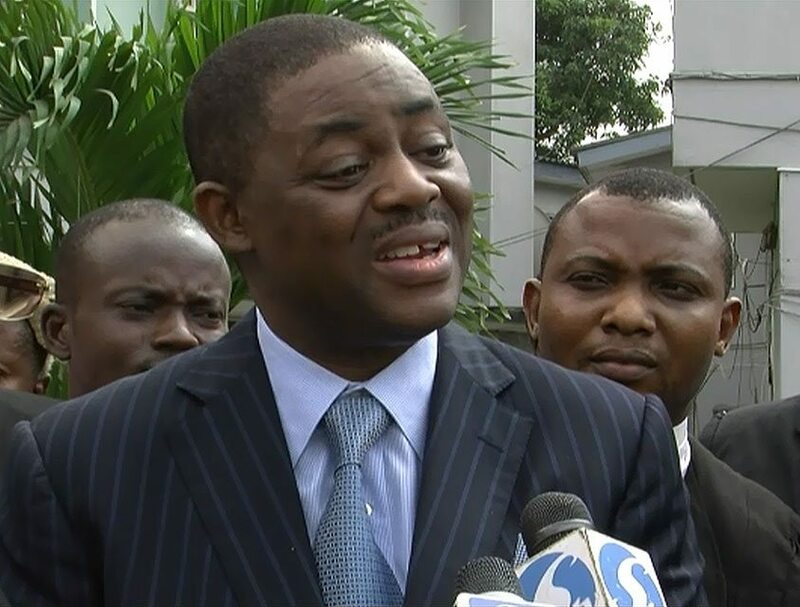 Meanwhile, the British Open Society for Free Speech has accused the Nigerian Government has condemned the invitation of Fani-kayode by the police saying it was tantamount to trampling on the rights of those in opposition. In a statement by its Head of Africa Mission, Lesley Andrew Ms. the group condemned the attempt by the Federal government to criminalised the former Aviation minister. “Our final illustration and a yet unfolding example/event is the criminalisation and subsequent invitation of Mr. Femi Fani-Kayode for daring to speak against the government of the day. Mr. Femi Fani-Kayode who is a British-Nigerian citizen was on Friday 24th August 2018 served with a letter of Invitation dated 20th August 2018 inviting him for an interview scheduled to hold on the 28th of August 2018. However, the invitee wrote through his lawyers requesting for an extension of time for disclosed reasons, though initially contested and threatened with an arrest, his request for extension was eventually conceded and extended to the 4th of September 2018. “Mr. Femi Fani-Kayode, has filed a fundamental right suit against the Inspector General of Police, The Nigeria Police Force and the Attorney General of the Federation who he stated are mere tools in the hands of the Buhari led Federal Government to silence any voice which dares to speaks against the ills of the administration. The suit has been accepted as a vacation case and is slated for hearing on the 13th of September 2018. Fani- Kayode had in a motion on notice dated August 28, 2018 and marked FHC/ABJ/CS/917/ 2018, asked the court to declare that the said letter of invitation by the police is unlawful, unjustifiable, illegal and unconstitutional. He further prayed the court through his lawyer, Dr. Kayode Ajulo to declare that in accordance with the 1999 constitution, he cannot be so invited by law enforcement agents for undisclosed reasons and without adequate notice. He said knowing that the activities of the respondents can have negative impact on his freedom of movement, liberty and dignity; he decided to file an originating motion on notice to enforce his fundamental rights. Meanwhile, Justice Nnamdi Dimgba has ordered that all the processes reacting to the motion on notice be served on the Inspector General of Police (IGP), the Nigerian Police and the Attorney General of the Federation to enable them appear in court on the next adjourned date fixed for September 13, 2018 for hearing.